NOTE: NEW UPDATE IS OUT! This is the last update that I will be making to the mod before my "retirement". Saplings work now! Additionally, some of the trees now have their own unique schematics, so they don't all look like oaks anymore. 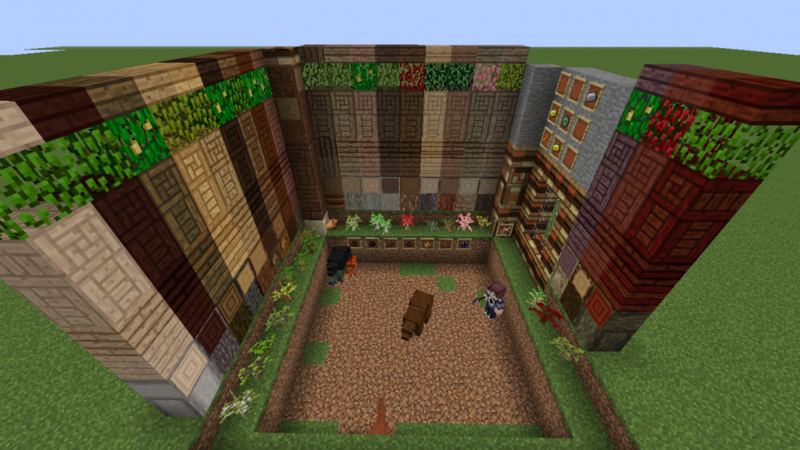 This mod is meant to expand the selection of wood variants in Minecraft by adding a new set of naturally colored woods that blend in well to the 6 vanilla species. There are no bizarre colors like bright pink, blue, or neon purple: the colors are meant to mimic real woods and trees. Each species includes a log, planks, leaves, and sapling. Additionally, 9 of each new wood type, as well as the 6 vanilla types and homogenized wood plank (made from 1 wood plank of each of the 6 vanilla woods) can be crafted into reinforced wood planks, which can be used as compact storage of wood, or a tougher building blocks. Each of the 9 types of tree introduced are found in their own biome, but these biomes do not exist naturally in the Overworld, but rather, in their own dimension. This dimension can be accessed by stepping through a portal made of reinforced homogenized wood planks. The portal is lit with a riftcutter- a dagger that can be crafted with a blaze rod, 2 gold ingots, an iron ingot, and an eye of ender. The saplings in this mod can be placed like blocks, but they will not randomly grow into trees like the vanilla species. You HAVE to use bonemeal (technically any kind of dye) to make them grow. -Beams can be made for all wood types, including petrefied and vanilla. Made with two slabs of the same wood. Raw and cooked Venison- raw meat is dropped by deer. Bearhide- Black and brown varients. Both can be crafted into leather or wool of the same color. Crab legs- dropped by crabs. Eating it makes you nauseous. Gaansey- Added as a credit to Gaansey for his assistance with the vertical slabs (slices). Gaansey carries an iron axe, is passive, drops spectral arrows, and is found in the Eucalyptus Forest biome. Deer- Found in various biomes. It drops raw venison, which can be eaten as is or cooked. They are neutral towards players and are afraid of their movement. All of the logs, saplings, beams, and planks can be used as fuel in furnaces. Reinforced planks cannot. All planks can be used to make sticks and chests, but only if ALL other wood used is the same kind. Once I give this to a successor, all future updates will be done through them, if they choose to make any. -Crafting tables made of each of the new wood types. -Fixing two known bugs- New mob models do not animate at all, and kangaroo model has no ears. What are the Easter eggs?? The AFL team Hawthorn possibly!? Homogenized is a very interesting name! Here's an idea! Add structures with your new woods!